Cynthia Gardner was on her way to church when she learned her son had been killed. It was Easter morning, and Javon Burnett, 26, was found dead about 10 a.m. April 1 between two buildings at The Summit at Ridgewood Apartments. Investigators said he'd been shot multiple times. Gardner was the first to testify Tuesday in Allen Superior Court on the first day of the trial for one of the men charged in Burnett's death. She wept when Allen County Deputy Prosecutor Jeff Stineburg showed her a 2017 photo of her son. 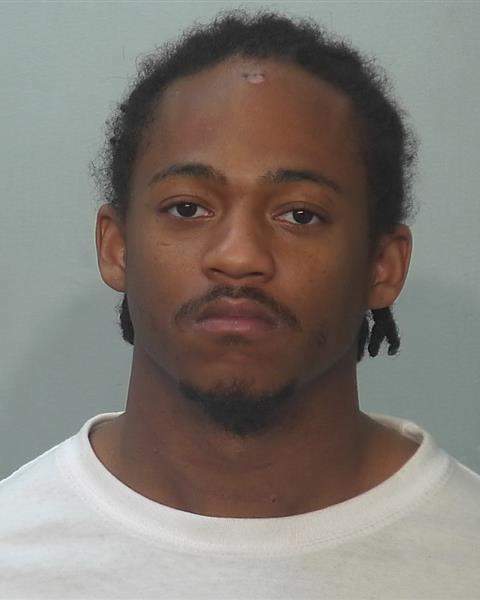 Tyrion McNair, 25, is charged with his murder. The other man, Joshua Smiley, 21, had also been charged with murder but pleaded guilty last week to assisting a criminal and is expected to testify against McNair. Burnett was at the complex to retrieve his car so he could drive to his mother's house and go to church, his girlfriend told investigators after the shooting. Court documents do not provide a motive for the killing, but defense attorney Ryan Gardner said in court Tuesday that McNair, Smiley and Burnett planned to meet about a marijuana deal. Smiley is expected to say that McNair committed the killing, but Gardner warned jurors to be wary of his testimony. “The story has changed to the point that it's too inconsistent to be reliable,” he said. Police said when McNair and Smiley were arrested in July more than a dozen people provided investigators with eyewitness accounts of the shooting. Cellphone conversations also tied the suspects to the crime, probable cause affidavits allege. Burnett's phone – taken from the crime scene by a witness and given to his parents – listed a call from “Lil Josh” minutes before Burnett was killed. A witness identified “Lil Josh” as Smiley. Another witness “nodded his head up and down” when asked whether he knew McNair killed Burnett, according to the affidavits. The trial for McNair, who also is facing drug charges in a separate case pending in federal court for allegedly selling thousands of dollars' worth of methamphetamine to an FBI informant, will continue today and end Thursday. Smiley agreed to testify as part of a plea agreement with prosecutors. The agreement calls for him to spend three years in prison on the assisting a criminal charge. He was a suspect in the shooting death of a 17-year-old Concordia High School student in 2015, but criminal recklessness charges were dropped in 2017 after witnesses who had identified Smiley and two others as those who had fired guns backed out.